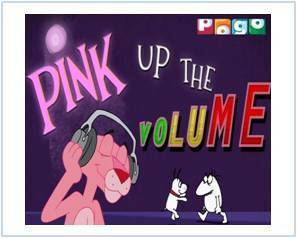 POGO presents a brand new series - Pink Panther And Pals that continues the hilarious adventures of the quirky and funny Pink Panther albeit as a teenager! The series will feature the Pink Panther as a rambunctious teenager who along with his friends gets into all sorts of mischievous capers and hilarious escapades. "Pink Panther" also will feature characters from the original series, including Ant and Aardvark, as well as new characters. The musical score and comedy themes will be reprised from the original theatrical shorts and TV series. Each show contains two episodes of a teenage Panther and his buddies, and one episode featuring the Ant & the Aardvark characters. The series will start from July 12 and can be watched every Monday to Thursday at 5.30 p.m.